A: Do you have any plans this weekend? 당신은 이번 주말에 계획이 있나요? 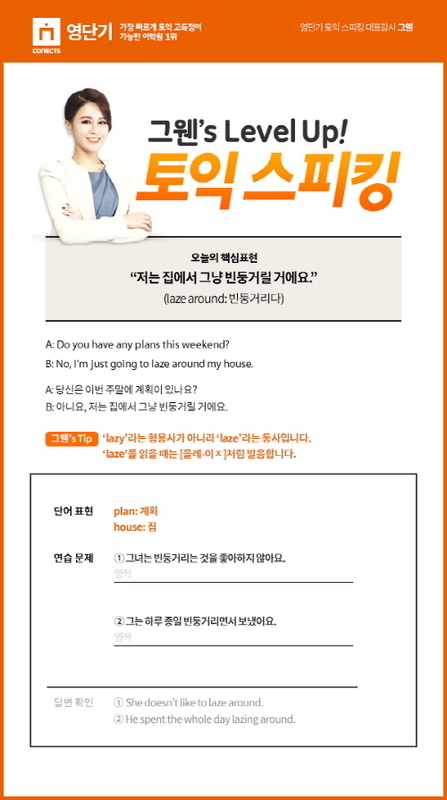 B: No, I’m just going to laze around my house. 아니요, 저는 집에서 그냥 빈둥거릴 거에요.